Abdul Jalil Bhuiyan of The Daily Star has been elected secretary general of Bangladesh Federal Union of Journalists (BFUJ).His panel swept the election held on Feb. (Saturday) 26, 2011. Earlier, Iqbal Sobhan Chowdhury, editor of the now defunct Bangladesh Observer, was elected its president unopposed. 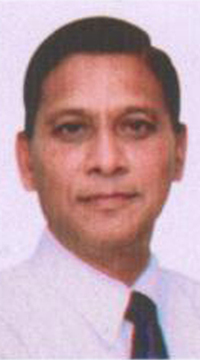 Ataur Rahman of Bangladesh Sangbad Sangstha -BSS was elected Treasurer. According the election commission, Jalil Bhuiyan was elected Secretary General of the BFUJ by defeating his contestant Molla Jalal with a margin of 330 votes. Bhuiyan bagged 879 votes while Molla Jalal secured 549 votes. Meanwhile, Ataur Rahman of Bangladesh Sangbad Sangstha (BSS) was elected Treasurer of the organization by defeating Kuddus Afrad of Daily Purbakon, Dhaka Bureau with a margin of 56 votes. Ataur Rahman secured 728 votes while Kuddus Afrad bagged 672 votes. Dr. Utpal Kumar Sarkar was elected vice president in Dhaka division, Chitta Ghose in Rajshahi Division and Sajed Rahman in Khulna Division while Mustaq Ahmed was elected vice president from the Chittagong Union of Journalists (CUJ). Saiful Islam Talukder was elected joint secretary general from Dhaka division, Asif Siraj from Chittagong division, Mah¬tab Chowdhury from Rajshahi division and Mozammel Haque from Khulna division. Four executive committee members were elected from Dhaka Union of Journalists.They are Akram Hossain Khan of Ittefaq, Khairu-zzaman Kamal and Madhusudan Mondal of BSS and Rafiqul Islam Sabuj of Daily Samakal. Four executive committee members were elected from Dhaka Union of Journalists.They are Akram Hossain Khan of Ittefaq, Khairu-zzaman Kamal and Madhusudan Mondal of BSS and Rafiqul Islam Sabuj of Samakal. Anu Mostafa and Kazi Gias of Rajshahi Union of Journalists, Ataul Karim Khokon and Sultan Uddin Khan of Mymensingh Union of Journalists, Anwarul Islam Kajol and Mamun Reza of Khulna Union of Journalists, Kamolesh Mohonta Shanu and GM Sajal of Bogra Union of Journalists, Kamal Uddin Khokon and Tapon Chakraborty of Chittagong Union of Journalists, Kamrul Huda Helal and Ratan Singh of Journalists Union of Dinajpur and Zahidul Kabir Milton and Gopinath Das of Jessore Union of Journalists were also elected members.